​This palette is designed to fit your arm and the contour of your body, making it much more comfortable and easier to use. It is made from poplar wood and finished with a clear coat making it resistant to solvent and easy to clean.these are all hand made and vary slightly in shape, color, and woodgrain. This palette is designed to fit your arm and the contour of your body, making it much more comfortable and easier to use. 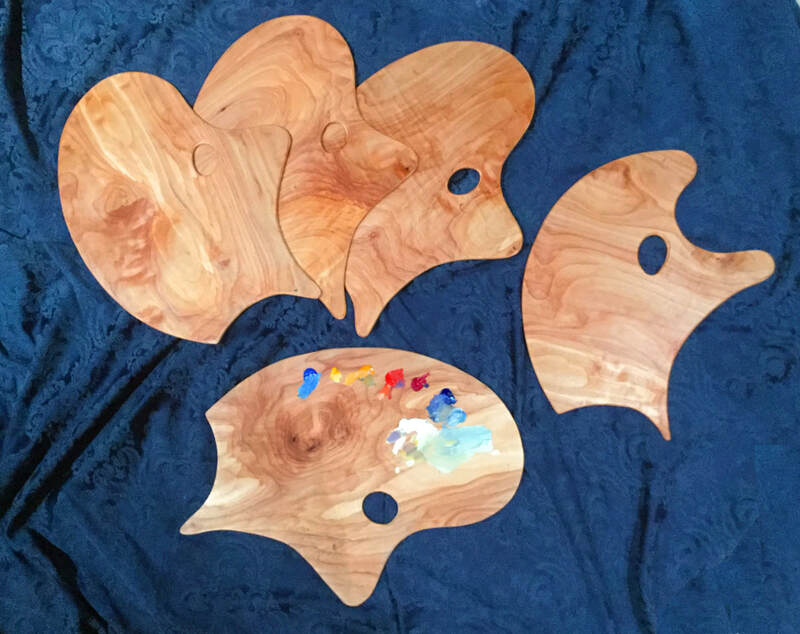 It is made from poplar wood and finished with a clear coat making it resistant to solvent and easy to clean.these are all hand made and vary slightly in shape, color, and woodgrain. All the same features as the right handed version, but designed to be used with the left hand.